Catching a shooting star is a long shot, buying a wedding cake is not. 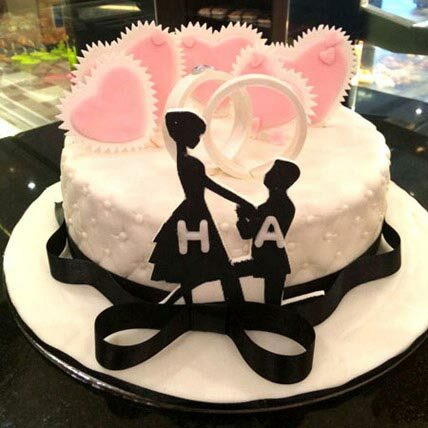 Escalate the beauty of this day for the loving couple by presenting them this gift of a lifetime, a tempting and alluring Fondant Wedding Cake that is available in Chocolate and Vanilla options. This is a special day for sure and we are here to make it even more special and memorable for you.